It was a very special day today. Just after breakfast our climbing team was greeted by Pama Rinpoche who is a reincarnate Lama. He was very welcoming, also quite easy to smile and a very gracious gentleman. After we received our blessings we talked about many things one of which was his visit 10 years ago to America. That was a lot of fun and quite interesting. After our meeting with our Rinpoche we were surprise he offered to perform a Puja which is a powerful ceremony which will give us much strength on the climb to come. It is a wonderful view here in this hidden valley. It will be a great rest and night here. 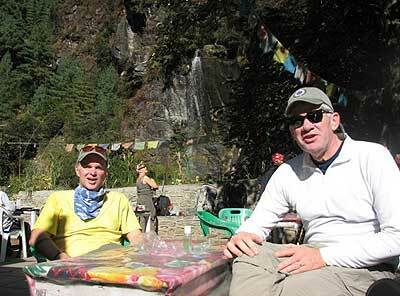 We are acclimatizing very well, good appetites, doing well on the hills. Already I can tell they are chomping at the bit, they're motivated to start climbing and it won’t be long before we are close to Island Peak, our first peak for acclimatization. 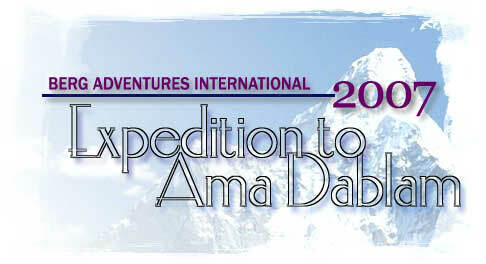 Later on tomorrow we will be able to see full views of Ama Dablam.